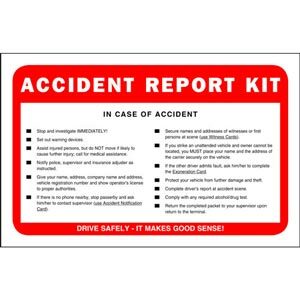 Help drivers quickly collect and report accident information. 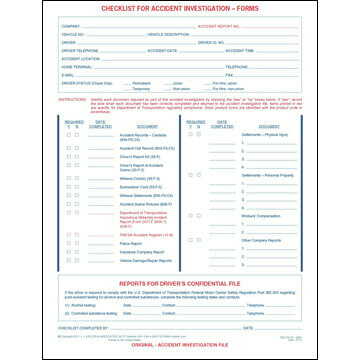 Helps you keep a central file to organize your accident information. 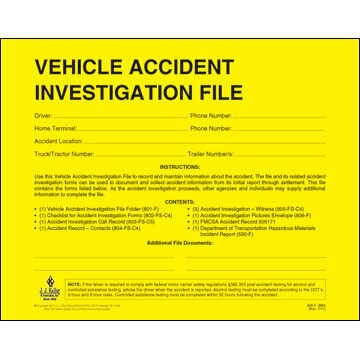 Document information your insurance carrier (or DOT) may require later. 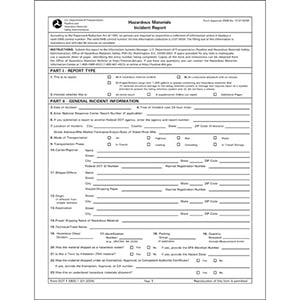 Helps meet 49 CFR §390.15 requirements. 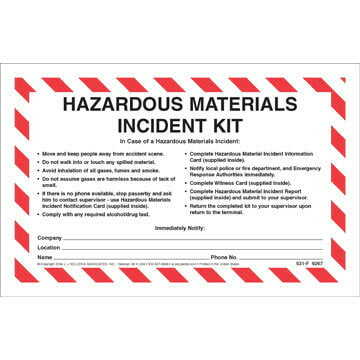 Helps you comply with DOT regs governing hazmat incidents. 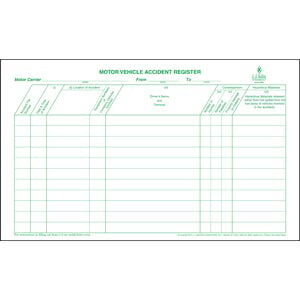 This handy form makes filling out paperwork easier for drivers. 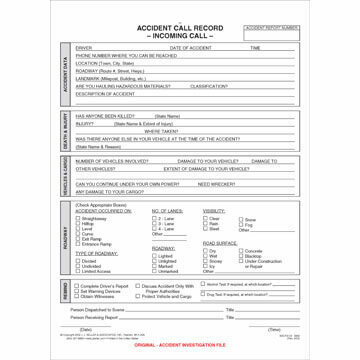 Simplify the process of recording accident details. 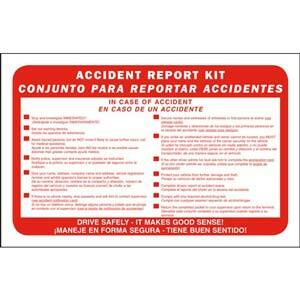 Helps you comply with DOT regulations governing hazmat incidents. 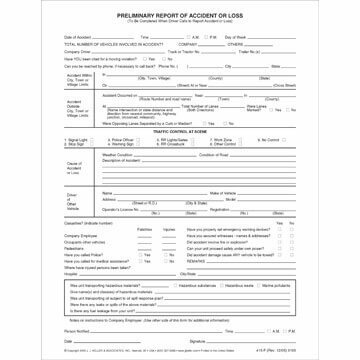 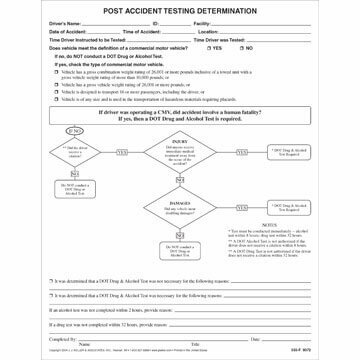 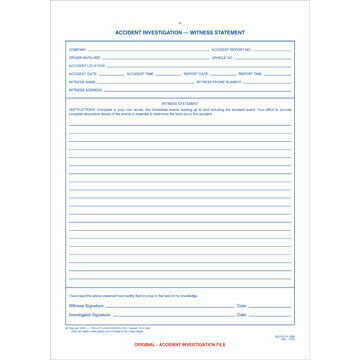 Contains a list to track accident forms. 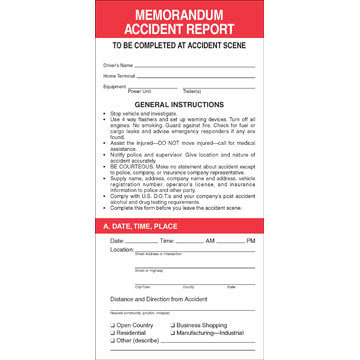 Helps you record critical accident information. 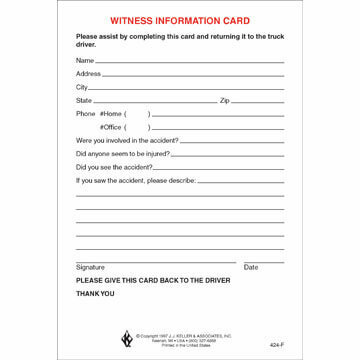 Helps witnesses record their observations of the accident. 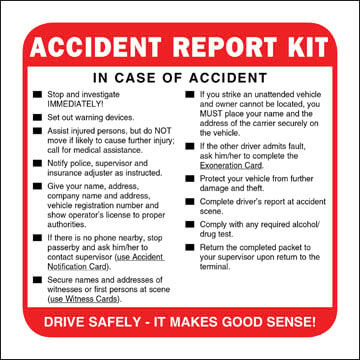 Helps drivers gather much-needed information at the accident scene. 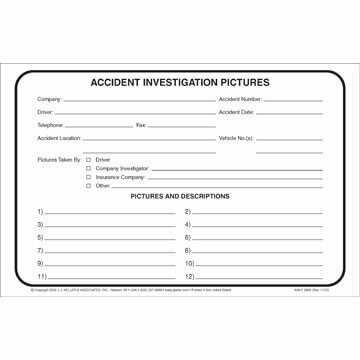 Organize accident photos and descriptions in one place.